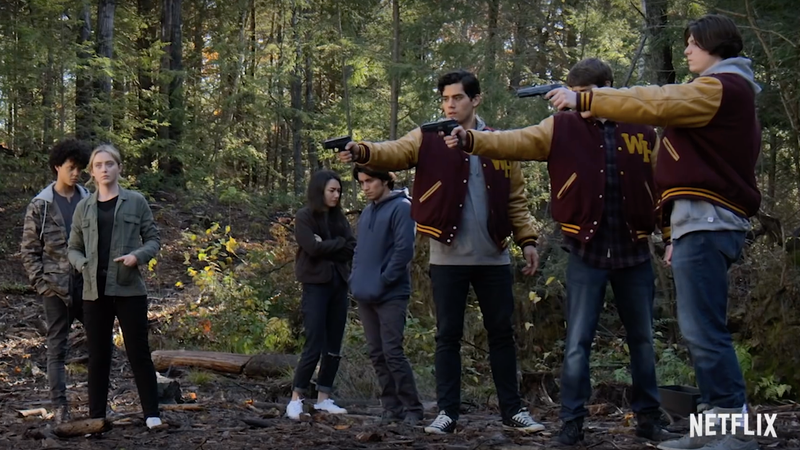 A group teenagers seemingly preparing to execute someone. Loosely based on William Golding’s Lord of the Flies, The Society follows the town’s remaining population of kids and not-quite-adults as they revel in their newfound freedom—before quickly realizing that they’re entirely unfit to run their strange new society. But it isn’t just that the town begins to fall apart, the teenagers become increasingly violent, and with no way of escaping a place that isn’t really their home, it seems as if they might end up destroying themselves.